You will be surprised by the variety of delicacies you will get to know! Inmerse in the everyday-life of the locals! Where idiosyncrasy meets the hustle and bustle of local daily life. 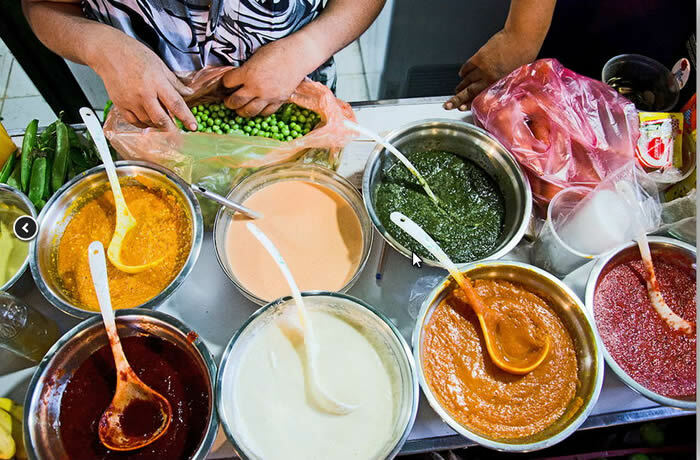 Fruit, vegetable and seafood markets, graffiti murals and Chile’s rich cultural and religious history are the focus of this energizing tour. This tour isn’t a lecture on Chilean culture. It’s a hands-on exploration of it through the eyes and ears of a local. 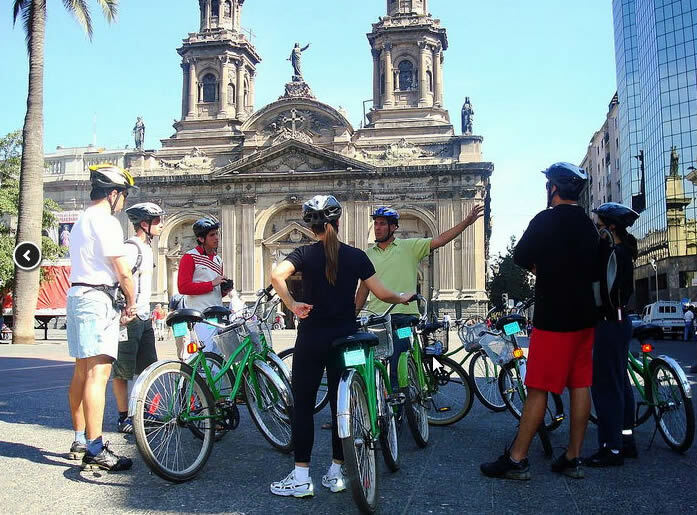 By bike, you will be exploring the bohemian Bellavista neighborhood and the bustling Patronato neighborhood with stops in the Korean and Middle Eastern districts to explain the waves of immigration into Santiago. 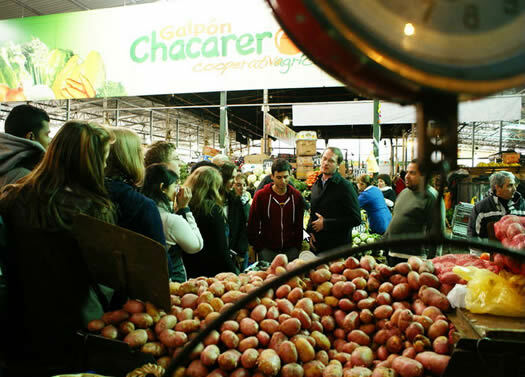 Then cycle on to the largest fruit and produce market in Chile, La Vega Central, where stroll through the isles to appreciate the colors and smells of native fruit and veggies. Last but not least, explore the center of Santiago with stops at the Central Seafood Market , Plaza de Armas Square and the Museum of Fine Arts.